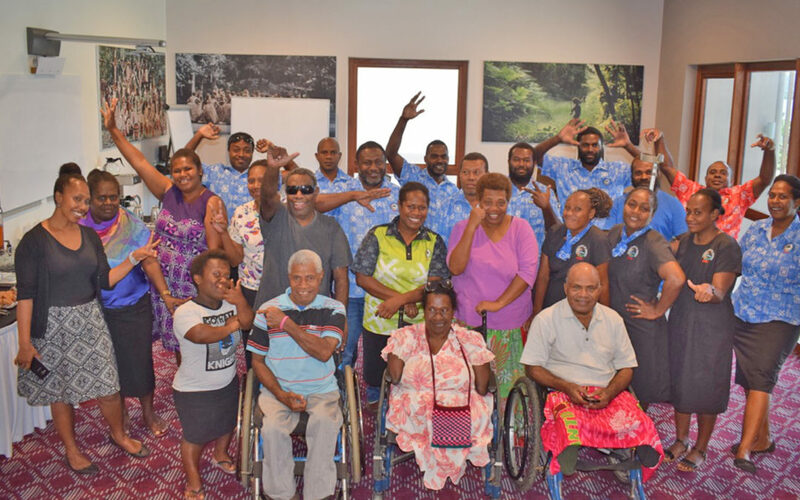 A half-day workshop—facilitated by Judith Iakavai from the Vanuatu Society for People with Disabilities and Sherol George from Vanuatu Skills Partnership – was held on 27 March at Ramada Resort for Vanuatu Tourism Office (VTO) and Department of Tourism (DoT) staff. The workshop focussed on building knowledge and skills in disability inclusion—with specific emphasis on understanding the barriers and challenges that people with disabilities face as workers and customers in the tourism sector and what can be done to address these. Staff had the opportunity to hear lived experiences of people with disabilities themselves, presented by the members of the disability panel.